Parliamentary Committee: What is happening with Immigration Consulting Industry? Last Friday, June 16, the Parliamentary Standing Committee on Citizenship and Immigration (CIMM) released a 60-page report with recommendations to the Canadian government on the Immigration Consulting industry. Now everyone in the industry is asking: What’s next? 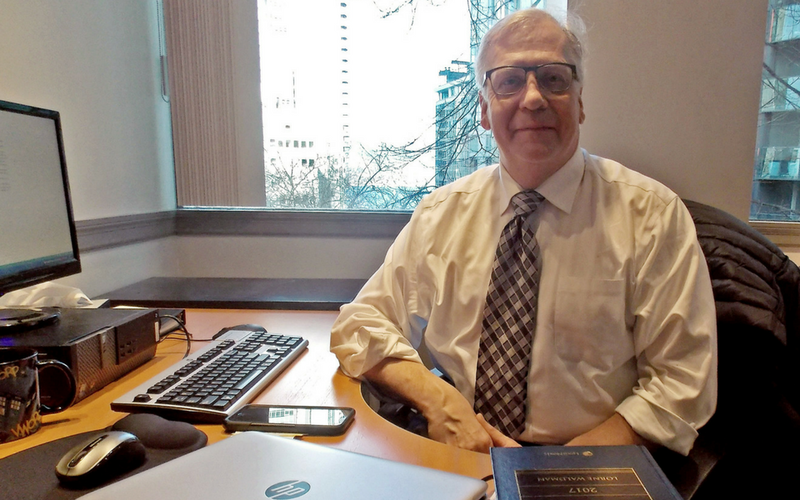 We sat down with Ron McKay to discuss the potential changes that the Parliamentary Committee’s report can bring to the immigration profession. Ron is a Regulated Immigration Consultant, the Director of Immigration Practitioner Programs at Ashton College and a long-term member of the Canadian Association of Professional Immigration Consultants (CAPIC). Ron has worked in the immigration industry for over 30 years, and he was the first elected National President of CAPIC. Monitoring the implementation of the principles of the federal multiculturalism policy throughout the Government of Canada. You can find out more about the Parliamentary Committee on the CIMM website here. As of October 2016, CIMM indicated that there would be a review of the current immigration consulting industry. “We have seen a number of meetings scheduled from March to May 2017 to look at the immigration consulting industry, especially the governance model, authorized representatives, unauthorized representatives and paralegals,” shares Ron. The recommendations from the spring meetings were expected to be released this summer – and they were, with the report having been presented to the House on June 16, 2017. “The goal of the Parliamentary Committee review could be summarized in two keywords – the need to “improve and evolve” – Ron McKay. Education is one of the key pillars for the immigration consulting profession, which is recognized by the CIMM, by IRCC and by the current regulatory body, ICCRC. This is why education standards for immigration consultants were key on CIMM’s agenda. The current complaints and discipline process by ICCRC includes a range of actions from administrative penalties to additional training, to monetary penalties, to going through an extensive disciplinary process for more serious infractions. “CIMM has taken a look at the current disciplinary processes and has indicated that improvements are needed,” shares Ron. Some of CIMM recommendations focused on the need for a federal statute, and other recommendations emphasized the need to provide additional funding to an independent regulatory body and to the CBSA (Canada Border Services Agency) in order to deal with unauthorized representatives. “ICCRC in its present format is not empowered to be able to deal with unauthorized representatives, and is only empowered to deal with its current membership,” adds Ron. Further recommendations included better communications and marketing towards immigration applicants with the need to deal solely with authorized representatives. We will have to wait to see what changes will be implemented. Another item of discussion for the Parliamentary Committee was the current regulatory body for immigration consultants: ICCRC. According to Ron, CIMM was to take a look at ICCRC and compare it to different governance models in other countries to see how they could further improve the regulation of the immigration consulting industry. “The United Kingdom, for instance, from the start opted for a pure government-based regulatory body, while Australia moved from a self-regulating body towards a government-based model,” he shares. The Parliamentary Committee has listed 21 recommendations after evaluating the key discussion areas listed above. Those recommendations are briefly summarized below. Please note that this is a simplified summary made to provide a general understanding of the recommendations made by CIMM. For the full list of recommendations in great detail please visit the CIMM website. Recommendations 1-2, 8: Create a new independent public-interest body to govern the immigration consulting industry instead of the current ICCRC. The new body will be government regulated, accountable to the Minister of Immigration, Refugees and Citizenship, and will adhere to high ethical and high competency standards. Only consultants under the new regulatory body (as well as lawyers and notaries in good standing) will be able to act as authorized paid representatives. Recommendations 3-4: Ensure that the new regulatory body develops high admission and licensing standards for the areas of education, training, curriculum and professional development, as well as high standards for the membership in the profession (ethical standards, scope of practice and areas of responsibility). Recommendation 5: Develop a new tiered licensing system that restricts the services consultants can provide, based on their education, training and experience. Consultants of the highest level are to be able to provide litigation before the IRB. Recommendations 6-7, 21: Have processes and mechanisms in place to deal with reviewing and resolving fee disputes and complaints. This includes investigative and disciplinary powers to effectively deal with complaints and disciplinary matters, including the opportunity to investigate and prosecute unauthorized representatives. Until such powers are given to the new regulatory body, provide sustainable funding to CBSA for conducting investigations and laying charges on authorized or unauthorized immigration consultants as necessary. Recommendation 9: Ensure that the new regulatory body is regularly reviewed by a Committee of the House of Commons and by a Committee of the Senate. Recommendation 10: Create a mechanism for applicants to file complaints to IRCC about unscrupulous representatives without fearing for their application or status. Recommendation 11-12, 19: Amend section 91 of the Immigration and Refugee Protection Act to ensure that non-governmental organizations, such as settlement agencies, can still provide basic immigration services; and provide more financial support to such organizations. Place the responsibility for the violations of section 91 of IRPA under the Royal Canadian Mounted Police (RCMP) and local police jurisdiction (consult them first to discuss logistics and funding). Recommendation 13-14: Take measures to ensure that newcomers and potential newcomers are aware of the risks associated with using unauthorized immigration consulting representatives, including informing them on the website at the beginning of their application process and creating education campaigns in foreign markets. Recommendation 15: Review the IRCC Call Centre to ensure they are able to provide basic immigration information in the languages most used by prospective immigrants. Recommendation 16: Review the use of consultants and explore ways of simplifying the IRCC immigration processes to reduce the need for third party assistance. Recommendation 17: Take measures on behalf of IRCC to be able to inform the applicant of any suspicion they are not using an authorized representative, and allow the applicant to continue their application, including giving them an opportunity to correct the errors in the application that was submitted by unauthorized representative (or “ghost consultant”). Recommendation 18, 20: Review current policies and consider implementing: increased fines and sentences for unauthorized representatives (“ghost consultants”), and a tariff system for the immigration consulting industry to reduce the risk of financial exploitation of applicants. What are the Key Takeaways for Current and Future RCICs? Now that we have the list of recommendations, the question is: How will they impact the practising immigration consultants and those who are planning to pursue this profession? As Ron points out, we can already make several conclusions based on the CIMM recommendations. There will be an Independent Regulatory Body: Immigration consultants are still going to be governed by an independent regulatory body. The suggestions for the new regulatory body are pointing towards the need for the Federal Statute and a similarity to the Australian Office of the Migration Agents Registration Authority (MIRA) government oversight body. There will be a larger focus on training and education: Training and education will still be at the forefront of the immigration consulting industry, with a potential for a more standardized curriculum in the future. There is going to be an emphasis on continuing professional development and high industry standards: Training, education and experience standards are key to ensure the growth and evolvement of the immigration consulting industry, and appropriate continuing education will be required to maintain membership in the immigration consulting profession. There is more discussion on specialization and potential changes in current licensing: The need for knowledgeable and qualified immigration consultants who are prepared to provide their clients with high-quality services may lead to the changes in the licensing. This can include development of further specializations (i.e. further education, training or experience for such things Detention Review, Admissibility Hearings or presenting in front of IRB), outside of the difference between the Regulated Canadian Immigration Consultants (RCICs) and Regulated International Student Immigration Advisors (RISIAs) that exists under the current regulatory body. The standards of the immigration consulting industry are elevated: From education to training, to licensing requirements, to dealing with unauthorized representatives, CIMM has been highlighting the need to raise the standards for the immigration consulting industry. The goal for the future changes in the industry is to further strengthen consumer protection; provide immigration consultants with the tools, knowledge and experiences they need to provide high-quality services to the clients; and make further improvements in the industry as a whole. “The Parliamentary Committee report is a set of recommendations to the Canadian government, and the government now has 120 days to respond to those recommendations. They can choose to follow all of those recommendations, some of them, or offer alternative actions” – Ron McKay. Who will monitor if only basic help is provided ? What will be the expertise of the worker ? Please also note that the report mentioned above was published in June 2017, so the information in it might be outdated.